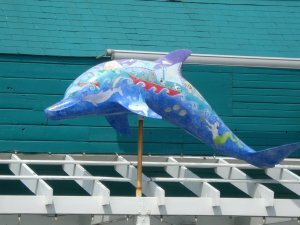 As temps heat up, Virginia Beach and beyond simply explodes with summer events for the whole family. Whether it's fireworks on the beach, world-class concerts, family scavenger hunts, or Elvis impersonators, there's something to see for the whole family...and most of it is free! Look below for a link to free summer activities, including $1 movies, free bowling, and free crafts and books for kids! One of our favorite Virginia Beach summer events...and it's free! Go to the oceanfront near 20th Street for fireworks shows every Wednesday and Sunday nights. Catch free fireworks twice a week! Families can join an interactive scavenger-like adventure that will lead you to spots along the boardwalk and Atlantic Avenue as you solve a mystery. End with a family-friendly movie shown on a huge screen on the beach. Click here for the movie schedule and dates. Celebrate New Orleans-style fun in Norfolk with two stages of musical entertainment, family activities, and Cajun food for purchase. Hours are Friday, 5-10 pm and Saturday, noon to 10 pm, and Sunday, noon to 6 pm. A special Memorial Day tribute to all armed forces personnel and their families, through military displays, music and military demonstrations. They'll also have special visits from the Blue Angels. For details, call (800) 822-3224. Avast, ye mateys! The Annual Blackbeard Pirate Festival is a free event where you can visit a pirate camp, tour tall ships, purchase pirate memorabilia, dig for buried treasure, sample tavern food, and listen to pirate music. Hours are Saturday, June 2, from 11 am to 6 pm, and Sunday, June 3, from 12 noon to 6 pm. There will be a fireworks extravaganza Saturday at 9 pm. For more information, go to www.blackbeardfestival.com. 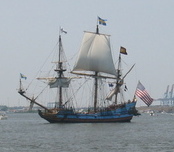 The Jolly Roger sails at Norfolk Harborfest. Soccer in the sand? One of the Virginia Beach summer events that has to be seen to be appreciated. Nearly 9000 players and as many as 100,000 viewers from around the world make this the world's largest sand soccer festival. There's also beach tennis, beach football, beach rugby and more. Call (757) 368-4600 for details. Now in its 46th year, this celebration features acts in R&B, jazz, pop, soul, and gospel. Tickets are around $58 per seat and can be purchased through www.ticketmaster.com or by phone (757) 487-8778. 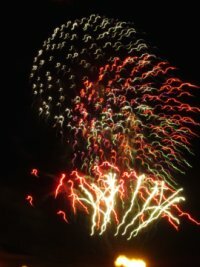 The Virginia Beach oceanfront is hosting a free Stars & Stripes Explosion, featuring fireworks, concerts, rock performances, and tribute bands at stages on the beach at 20th Street, as well as at the 17th, 24th and 31st Street parks.Music will include headline acts (TBA), as well as concerts bythe Virginia Beach Symphony Orchestra and the Virginia Beach Chorale. Fireworks will take place at 9:30 pm and can be viewed anywhere along the Virginia Beach boardwalk. ***Click here for more Fourth of July summer events! During Summer Nights, the park offers free fireworks shows Fridays-Sundays, "Spark," an all-new show in the Royal Palace Theatre, and "Light Balance," a light/music/dance show in the Abbey Stone Theatre. For park hours on those dates, as well as a link to other events at the park, go to our Busch Gardens Williamsburg Events & Festivals page. No word yet on whether they will offer this popular summer events concert series this year, but if they do, expect performances by popular artists in the park's Festhaus Park, located in Germany. Sponsored by the Chincoteague Volunteer Fire Department, this memorable and historic spectacle (since 1925!) is one of the most amazing summer events you'll ever see. It always takes place the last Wednesday of July. To keep the population of wild ponies manageable, up to 150 each year are driven across a narrow part of the Assateague Channel at low tide on Wednesday during the famous "pony swim." They are then auctioned off on Thursday. For details, click here. Watch North America's Oldest Running Surfing Competition as over 100 of the world's top surfers vie for prizes of $40,000. Other Virginia Beach events include live music, volleyball, skimboarding, a 5K run along the oceanfront, skateboarding, and a swimsuit competition and the extreme sport of skateboarding. The event is free to viewers; competition participants must pay a fee. Call (800) 861-7873 for details. Smithsonian Day offers free admission for you and a guest to one of hundreds of museums across the US. Participating museums vary by year, but currently include Cape Henry Lighthouse, the Childrens Museum of Virginia, the Museum of the Confederacy, Bacon's Castle, and the Virginia Sports Hall of Fame. To download your free ticket to one of these fall events spots, go to http://www.smithsonianmag.com/museumday/. Looking for things to do for the kids that are free or won't cost an arm and a leg? Click here for free summer activities, including $1 movies and free bowling!